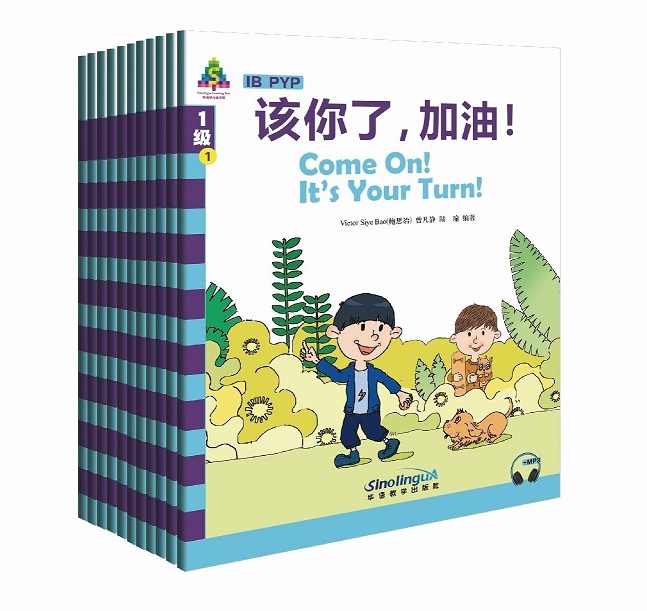 The Sinolingua Learning Tree series is a collection of Chinese textbooks aimed at kindergarten through secondary school-aged students who are native English speakers or who are studying at Chinese-English bilingual international schools. This series is divided into 13 levels, ranging from a starter level to more advanced levels. The starter level is intended for parent-child reading for kindergarten-aged children while the other 12 levels are suitable for primary and secondary school students. The series covers topics from the Primary Years Programme (PYP), Middle Years Programme (MYP) and the ab initio of the Diploma Programme (DP) established by the International Baccalaureate (IB), and is compiled using the vocabulary listed in the syllabi of international Chinese language tests, such as the Youth Chinese Test (YCT), International General Certificate of Secondary Education (IGCSE), IB and Advanced Placement Programme (AP) as well as vocabulary appearing in popular textbooks adopted by international schools. Each volume, complete with audio material and an e-book, is accompanied by exercises and a research project that aims to guide students in learning Chinese language and culture through exploration. In addition, 70 volumes of the Sinolingua Reading Tree series are available for further reading. The first set of Level 1 comprises ten books. With chinese, pinyin and english.